As the temperature drops, the sun sets earlier, and the leaves start changing colors, your cravings for mojitos and margaritas are probably giving way to something a little warmer, more earthy, autumnal. 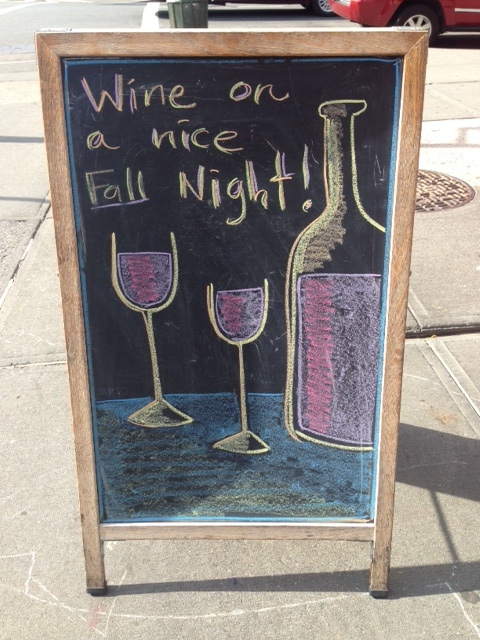 To bring you this list of great wines that are perfect for a fall evening, we spoke with the owners of Gowanus Wine Merchants, in Brooklyn. Here are some bottles they’re recommending as the weather cools, including the prices at their store. The descriptions and commentary are courtesy of co-owners Rick Lopez and Tom Hyland. A final tip from Lopez and Hyland: If you’re throwing a dinner party and want to serve all of these wines, lead with the Cava and then serve the Falanghina.